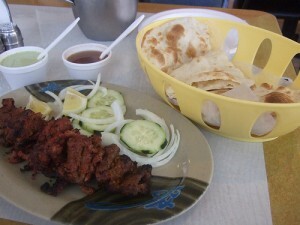 Bihari Kabab recipe by Sabeen at DesiRecipes.com. Add all the ingredients to the beef strips and marinade for 4 hrs. Grill on skewkers adding some oil on top. Serve with onion rings in lemon juice.